CTV > News > Services > Acquired, Life Science > SurgRx, Inc.
SurgRx, Inc. has developed proprietary technology for tissue sealing and cutting to be used in surgical procedures. The company’s products have applications in the gynecology, transplantation, and general surgery markets, whether used endoscopically or in open procedures. The total market potential for these products is in excess of $4 billion. 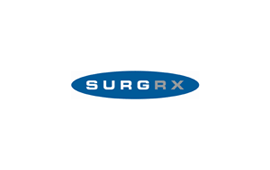 The SurgRx tissue sealing device is deemed safe by the FDA and has been granted 510K regulatory approval. SurgRx was acquired by Ethicon Endo-Surgery, a Johnson & Johnson company.